The Committee on Education, Arts, Culture and Sports Development headed by Assemblywoman Samira Gutoc-Tomawis invited DepEd-ARMM for its first committee hearing. Assistant Secretary Noor Mohammad Saada and Director Alia Cali of Madrasah Education represented DepEd-ARMM. Grades 1 and 7 teachers in public schools have been trained all over the Autonomous Region in Muslim Mindanao (ARMM) for the implementation of the K to 12 curriculum starting this school year, which started May 21 and will end today, May 25. No fees shall be collected from Kindergarten to Grade 4 for the duration of the school year. From June to July, no fees shall be collected from Grade 5 to high school. However, starting August fees maybe collected for the following: BSP/GSP, Anti-TB, Red Cross, PTA and membership in pupil/student government/organizations. PTAs can only collect after presenting to the members in an assembly financial report of the previous collection. Even then, contributions are voluntary, not mandatory. PTA membership fee is per member basis regardless of the number of children a parent-member has enrolled in school. PTAs are to refrain from collecting exorbitant fees. 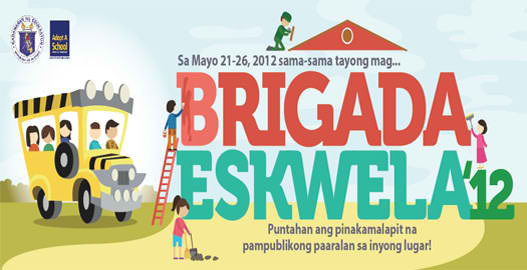 In preparation for the opening of classes for school year 2012-2013, theDepartment of Education (DepEd) in the Autonomous Region in Muslim Mindanao (ARMM) launched its "Balik Eskwela" program and "Brigada Eskwela 2012" in the five provinces of the region. ARMM DepEd Sec. Jamal Kulayan last week kicked off the ceremonial painting of Marawi Central Pilot Elementary School. He was accompanied by Mayor Nur Yasmin Candada and Marawi DepEd officials headed by School Supt. Dr. Mona Ampuan Makatanong. "We're going around to help the DepEd in its Balik Eskwela program in several public schools in ARMM in the repair and cleaning of school rooms in preparation for the opening of classes on June," Kulayan said. Aside from assisting Brigada Eskwela in order to prepare safe and convenient environment for school children, Kulayan said they were also tasked to distributelesson plan class records and books to teachers. Acting ARMM Regional Governor Mujiv S. Hataman announced that there were some 2,300 available items for new teachers in the ARMM. "Sa ngayon may bakanti kaming 2,300 teachers item. Ang priority namin ngayon ay LET (Licensure Exam for Teachers) passers," Hataman said in an interview. He said that teachers outside ARMM who are LET passers can apply. "Puwede. Pero ang tanong mayron bang gusto? Actually, ang gusto ko puwede silang mag apply kahit outsiders sila kasi nga nangangailang kami ng quality of teachers." He appealed to the teachers to be patient with the new system as he is aware of some complaints that teachersassigned in the islands and far-flung communities would still have to spend time and money to visit banks in urban centers to claim their salaries in ATM. Hataman pointed out that this system is for the benefit of the teachers because their salaries will already be free from unauthorized and illegal deductions. He assured that by the opening of classes in June, all salaries will already be in ATMs, complete with identificationcards with picture and in biometrics. Meanwhile, Governor Hataman vowed to address the record low literacy rate gripping the 21-year-old region. Education experts traced the problem to various factors including the scarcity of licensed teachers in the ARMM. ARMM which has the lowest literacy rate in the country, Governor Hataman also vowed to address the scarcity of quality teachers. He is launching a special program giving prospect teachers aspiring to take the LET free review classes, reference books and transport expenses. The ARMM DepEd is currently building classrooms and making chairs. The construction of these classrooms are being rushed for the opening of classes in June. "Kakulangan sa classrooms mayron tayo...mayron tayo...pero marami din ang on-going construction ng mga school buildings. Ang problema namin may nabigyan na hindi naman priority kaya inaayos pa namin ang systema na iyan kasi nag monitor iyong team namin, mayron talaga na hindi na kailangan," Hataman said. 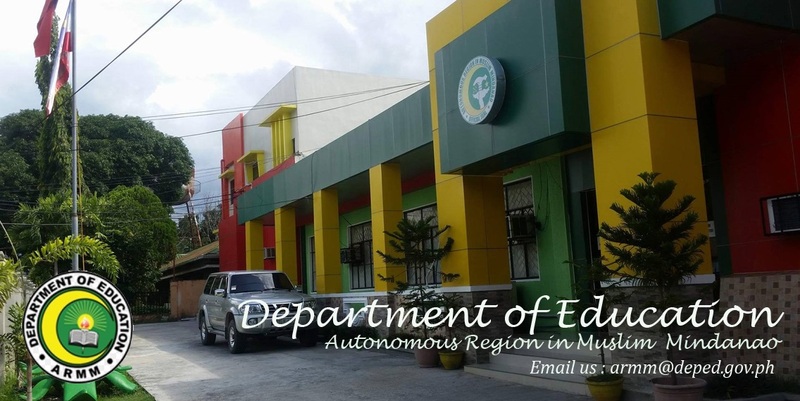 Manila, Philippines – The Department of Education (DepEd) will introduce an Islamic-friendly and culturally-sensitive curriculum in Autonomous Region Muslim Mindanao (ARMM) to be implemented when classes resume this coming June. In line with the continued efforts of the national government to allot resources to further train Muslim teachers, the curriculum was launched recently in Lamitan City, Basilan. The event was attended by DepEd representatives and ARMM officials and the local government unit of Basilan. Currently, there are two types of curriculum prescribed in Madrasah or Muslim educational institutions. The Enriched Curriculum for Public Elementary Schools uses the Arabic Language and Islamic Values Education (ALIVE) taught by qualified asatidz (Muslim teachers) who were trained by DepEd. The other is the Standard Curriculum for Private Madaris (Muslim schools) which teaches subjects such as Qur’an, Seerah (Life Story of the Prophet), Hadith (Sayings of the Prophet), Aqueedah (conduct), Fiqh (jurisprudence) and Arabic language alongside Science, Math, English, Filipino and Makabayan. Earlier this year, Education Secretary Armin Luistro signed a memorandum of agreement with then ARMM Governor Ansarrudin Alonto-Adiong for the implementation of ALIVE curriculum in the ARMM region. “We are glad that the Madrasah ALIVE curriculum will be finally taught in the heartland of Muslim society years after it was first successfully implemented in seven other regions including the National Capital Region where there is a sizable Muslim population,” said Luistro. Luistro added that he pursued the implementation of Madrasah curriculum believing that “education is key to peace and prosperity.” He explained that the Madrasah education is the number three priority in President Benigno Aquino III’s ten-point education agenda. ARMM officials have joined Brigada Eskwela, this is the ith time that line agencies have actively participated in the annual school maintenance week. a scheduled management training in Boracay to be in Sulu for this activity. at one of the schools they've participated for the Brigada Eskwela in Sulu. Wawalayan-Marinaut, Marawi City, adopted by CabSec Norkhalilah Mambuay-Campong. The ARMM landed 13th in the 2012 Palarong Pambansa with 3 gold, 1 silver and 3 bronze. 17 regions participated this year. NCR was overall champ with 114 gold, 67 silver and 64 bronze. May 2, 2012 - The Department of Education (DepEd) -Autonomous Region in Muslim Mindanao(ARMM) and the Asia America Initiative (AAI) had a Memorandum of Understanding (MOU) in a Program called Development for Peace Schools (DPIS), DepEd-ARMM office in Cotabato City. The MOU signing is represented by DepEd ARMM Secretary Culayan and AAI Country Director Bai Rohaniza Sumndad-Usman. MANILA, Philippines - Who’s afraid of ghosts? 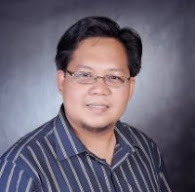 Not Jamar Kulayan, the newly-appointed regional secretary of the Department of Education (DepEd) in the Autonomous Region for Muslim Mindanao (ARRM), who declared that he intends to rid all “ghosts” within his department – ghost students, ghost teachers and ghost schools. Now on a ghost-bashing binge, Kulayan, a Tausog, said he uncovered these irregularities right after his appointment as ARRM DepEd secretary in January this year. “When I got appointed as ARRM DepED Secretary, I was under instructions to institute reforms in the region’s educational system and was really surprised to find out the existence of ghost students, ghost teachers and ghost schools,” Kulayan told The Philippine Star. He said previous ARRM education officials, for reasons only known to them, appeared to have turned a blind eye on these illegal practices – the listing and submission of lists of ghost student-enrollees, employment of ghost teachers, and wrong reporting of the total number of active schools. Based from his initial discovery, Kulayan said that it has become the practice in the region for teachers to bloat the name of their student-enrollees every school registration. This, he said, is part of the scheme to justify the creation of ghost schools and the hiring of ghost teachers. Kulayan said during graduation, those involved in these illegal education scheme, simply hire children like Badjaos to march in front of higher DepEd officials to make it appear that a particular school is truly in operation and also to cover their illegal acts. ARMM Gov. Mujiv Hataman acknowledges these irregularities in the region, saying the databank system established by the previous administration showed that there are discrepancies in the number of teachers, schools, and students in the region. In Lanao Del Sur, ghost schools exists as reflected by the excessive number of national secondary schools which are not reflective to the total number of students in the province. Records from ARMM DepEd showed that there are 144 schools operating in the province or 14 schools higher than the official number of 130 schools (Lanao del Sur) as reflected in DepEd’s records in Manila. The presence of two elementary schools with the same name, La Mesuna Laud East and West in Siasi, Sulu, also showed that elementary schools are not exempted from the fraud. Siasi is an island municipality with only a few number of elementary student enrollees, mostly Badjaos. Mujiv’s island province of Basilan is also not exempted from these irregularities. Abandoned public elementary schools are no longer in operation because of the conflict, are also being reported as “active” complete with students and teachers. Also in one of his inspection trips, Kulayan said he saw a tarpaulin prominently placed along the national highway declaring an ongoing first anniversary celebration of a certain school. When he checked the place, Kulayan said he was disappointed when he saw nothing but dust-covered tables and chairs. When he tried to verify, he was told that everybody – teachers and students — had already gone home. The ARMM education chief said present records showed there are 22,000 teachers in the region, 2,000 in excess of the 20,000 who were officially hired. Names of teachers who are already dead, retired, or abroad were still listed and continue drawing their salaries.